MAKEUP IS ONLY AS GOOD AS THE BASE. Let’s say it again for the people in the back! Makeup is only as good as the base. In other words, get that skin in check, girl! A great skincare routine is a life changer. Especially on your wedding day, you will appreciate your good skin. Before any makeup is applied, you should have your skin prepped and ready to go. In many cases, a solid skin prep routine will dismiss any need for a facial primer. Face primers are just an extra layer of makeup on the skin, and may create too much slip under the makeup. When your skin is prepped properly, instead of primed, you will have longer lasting makeup that’ll stay in place. Before you start any makeup application, your skin should be properly prepped. Begin by cleansing your skin with your favorite cleanser. Make sure your cleanser is appropriate for your skin type! 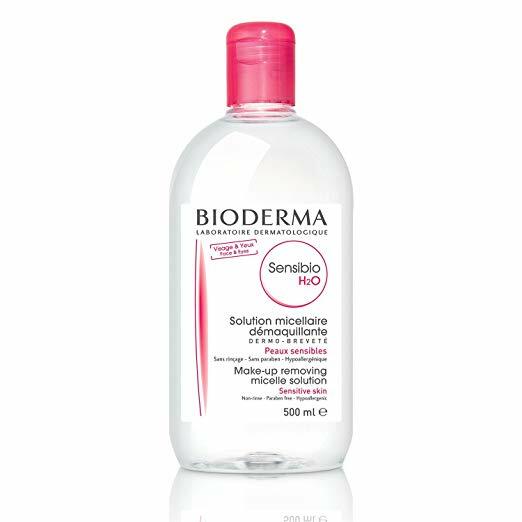 PRO TIP: I love using Micellar Water makeup remover before cleanser to remove any residual makeup that may still be there from the day before. This will allow the cleanser to really get into the skin for a deep clean. Once your skin is cleansed, follow up with a serum or toner. Don’t be afraid to use a product with oil in it, or skin-appropriate acids! If your skin is dry or dehydrated, try a Hyaluronic Acid serum. If you have normal skin, try a brightening toner with Vitamin C. Finally, if your skin is on the oilier side, try something with Salicylic Acid in it to help control shine. TRY THIS: I am currently obsessing over Pixi Beauty’s Glow Tonic ($35). It has 5% Glycolic Acid which is great for all skin types (except sensitive), and softens fine Ines, dissolves dead skin cells, and smoothes texture. This is a great pre-makeup exfoliant and brightener. After your skin has been cleansed and prepped with a toner, it’s time to lather in moisture! Moisturizer is en essential step in any skincare routine, and should never be skipped. Skipping moisturizer is like eating cake without the icing! For those of you who fear moisturizer because you don’t like the “oily” texture: there are SO many different types of moisturizers out on the market! It’s definitely not a one-and-done type of product. You will need to find one that works for you, and your skin’s needs. Also, side note, if you have oily skin and refuse moisturizer, you are not helping your skin. Skin produces more oil (sebum) in attempts to moisturize itself when it is dry. So, in many cases, oily skin is just trying to say, “Hey! I need some moisture in my life”. TRY THIS: My current FAVORITE bridal moisturizer for that wedding day glow is Charlotte Tilbury’s Magic Cream ($100). This stuff is truly magical. The tiniest bit is all that is needed, its spreads like a luxurious butter, and leaves the skin plump and glowing. It’s an absolute must. The final step of my skincare prep is an eye mask. What’s an eye mask you ask? Well, only one of the best things in skincare! I specifically use gel eye masks that sit on the under-eye area while I do the eyes. These masks are awesome simply because they work! They immediately remove the look of tiredness by brightening and reducing fine lines. 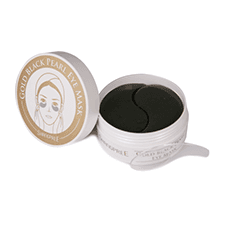 TRY THIS: My current favorite under-eye masks are the Gold Black Pearl Hydrogel Eye Masks ($60) by Shangpree. They won Best of K-Beauty Awards in 2018 for their awesomeness. PRO TIP: Leave the gel eye masks on while you do your eye makeup. Leaving them on for 15-20 minutes will allow the gel to soak into the skin and really brighten & tighten the area. This routine will leave your skin feeling plump and hydrated. Are there any awesome products you love for your skin prep routine that I left out? Send them to me! I am always trying new things for myself and my clients. 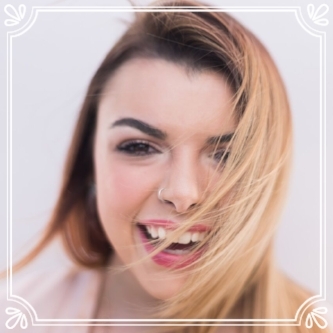 Jazmin Rae is a Philadelphia professional makeup artist and licensed cosmetologist with a passion for skin.